A year ago, the industry was buzzing about how the availability of commercial and industrial insulation materials was taken for granted until two catastrophic fiberglass manufacturing facility fires in 2003 created a disruption in supply. The disruption affected not only the fiberglass segment but also alternative materials segments, as they stepped forward to fill the void. Importing and the acceptance of foreign manufactured materials became immediately more agreeable. The effect of those fires changed the way many professionals examine supply chain alliances, and how they view demand versus supply or manufacturing capacity. Now, a year later, what is different? Have those views changed? This topic has many components and an unexpected degree of complexity. For the purposes of this article, “domestic manufacturing” is defined as materials being manufactured by the associate members of the National Insulation Association (NIA) for the “NIA World.” The term “NIA World” encompasses the commercial and industrial insulation market segments, which include all facets of mechanical insulation, a significant portion of commercial building insulation, metal building insulation and a portion of the heating, venting and air conditioning (HVAC) market. It is generally accepted that the NIA World does not include the majority of insulation-related activities in the HVAC, residential, original equipment manufacturers, automotive, appliance, aerospace or other specialty markets. Overall, there appears to be sufficient capacity in all domestically manufactured material groups to meet the expected demand in 2006 and beyond; however, this subject requires some explanation and discussion. The two manufacturers that suffered the most direct impact of the 2003 fires should be commended on their recovery efforts. They remained committed to the industry and devoted the resources necessary not only to replace but to expand their lost capacity. The details of how they accomplished their recovery are beyond the scope of this article. However, it is estimated that depending upon the product line, they have recovered between 70 and 100 percent of their pre-fire capacity. In addition, when the new and expanded plants and production improvements are complete, overall industry-manufacturing capacity will exceed pre-fire levels. Other companies also should be commended for their commitment to the industry and for stepping forward to fill the supply void. These are the other suppliers of fiberglass and materials including calcium silicate; perlite; cellular glass; elastomeric and polyethylene foams; mineral fiber wool; and polyisocyanurate, polystyrene, phenolic, melamine, polyolefin and polyimide foams. Without these suppliers’ efforts, a bad situation would have been much worse. Most insulation manufacturers that participate in the NIA World also support other industry segments. This is normally not a concern. When other markets—such as the residential market—are stronger, however, some production line or manufacturing capacity can be diverted from NIA World materials to those consumed in the stronger markets. The issue is simply tied to the law of supply and demand and is intertwined with corporate-shareholder objectives to increase profitability. The NIA World materials are competing for production time within their own manufacturing facilities. This is a long-standing conflict that sometimes affects one or more channel participants and materials. In a world where all market demands are relatively consistent and product line profitability between markets is similar, this is not a problem. Where is that perfect world, though? Businesses certainly do not operate in that perfect world. The internal competition of product lines has created extended lead times and planned availability. Even allocation has occasionally occurred with some manufacturers within specific product lines. 2005 is no exception. These situations have created a variety of hardships for all channel participants and have challenged some relationships. Although the challenges are generally viewed as short-term and manageable, not all would agree with that generalization. Without question, the NIA World became more amenable to the acceptance of foreign manufactured materials following the 2003 fires. That applies to all materials. The question that remains, however, has to do with the quality of those imported materials. Are they equal to or superior to domestically manufactured materials? Several manufacturers that are major contributors to the U.S. market also have plants outside the country. These companies routinely supplement their U.S. manufacturing from their domestic plants. This practice has existed for years, but increased in the post-fire era. The discussion of equality in this article is not focused on those materials, but on the materials that are imported through a variety of other channels. Some domestic manufacturers are importing materials from China, India and other countries. Marketing and financial reasons motivate those manufacturers to ensure that those materials are of basic equal quality to their domestic manufactured materials and are acceptable in the market. Overall, this has worked quite well. If anything, it has improved the quality of those imported materials over time. Some materials continue to be imported by companies—basically brokers—that resell them, and by a few distributors or contractors. Has that quantity grown to be of significance? Probably not. Immediately following the fires, the quantity of imports increased dramatically, but that has since decreased. By some estimates, they may now have a 1- to 2-percent U.S. market share, but that number cannot be verified. The more relevant question is, Will imports continue to add to the supply? One of the possible long-term effects of the 2003 fires is an adjustment in the way companies examine supply chain alliances, how they view supply versus demand and their concern for supplier dependency. These factors alone may drive the continual investigation of the value of imported materials, which will, in turn, affect the continual presence and threat of foreign manufactured materials. Numerous factors—including many outside the control of the NIA World, like the value of the U.S. dollar, globalization of the market, manufacturing or exporting subsidies by other countries, worldwide demand versus supply, tariffs, cost of energy, politics, etc.—will directly affect how many materials are imported. Acceptance of the quality of imported materials is, however, in the control of (or at least significantly influenced by) NIA World participants. Companies that consider using foreign manufactured insulation materials should continually raise a caution flag. They need to ensure that the composition, quality and performance standards of those materials are measured on the same basis as domestically manufactured materials. Many imported insulation materials are equal to or at least generally comparable to U.S. materials, but others are not being measured to the same standards. If those materials that are “assumed comparable” are indeed inferior and ultimately fail, the industry pays the price. And if a material does fail, are its manufacturers or importers there to back it up? This is an interesting question, for which there are various responses. The supply channel today is very typical of a standard distribution channel model. However, it was not always that way. During the past 10 to 15 years, manufacturers have become more supportive of the distribution channel and have turned away from directly selling to contractors and others. It is now estimated that 90 to 95 percent of material purchasing in the NIA World flows through the distribution channel. This has allowed each of the channel participants to focus on their specific area of expertise: manufacturing, distribution or contracting. Many believe that this has streamlined the supply chain model and helped to increase earnings at all levels. What happens when importers cannot find support or gain acceptance within the distribution segment? Will they try to go around distribution and “sell direct?” That approach, although threatening and certainly disruptive in the short term, would in all likelihood not succeed on a wide-scale basis in the long term, due to the opposing views on extended shipping intervals, minimum shipment quantities and overall service requirements. Even if importing companies were to establish a distribution center or a series of warehouses, many of the same obstacles would present themselves. Of course, there are exceptions. The other possibility is that importers could turn to distribution companies that are not currently participating in the NIA World and, accordingly, be the catalyst for enticing them to “cross over” into the NIA World. Crossover strategies, in both directions, are not new to any segment of the industry. Many contractors, probably the majority, perform work outside the parameters of the insulation industry—work like painting, scaffolding, general mold removal and even demolition. Distributors are crossing over in a similar manner with products such as building materials generally used in the residential and HVAC markets, exterior insulation finishing systems, etc. Manufacturers, as previously discussed, support and participate in multiple markets. Do crossover strategies work? The answer depends on who is asked. As a general rule, the strategies can work well for contractors who have proven supervision and an experienced work force. It is not quite that simple for distributors, though. If the crossover strategy is based upon a single material or an incomplete product line, it can be distributed extremely easily on multiple fronts and is normally contained to local markets or even specific customers. The more primary insulation or accessory materials available to a distributor, the more real the possibility of a meaningful crossover. Importers that employ and solely rely upon a crossover strategy have a long and tough road to follow. However, the crossover option will always be an attractive alternative that many will investigate and pursue. Crossovers could have a profound effect on the long-term profile of the commercial and industrial distributor and contractor segments and, accordingly, the industry. Are Material Costs Still Increasing? Unfortunately, costs are continuing to increase. Energy and healthcare continue to lead the parade. Each channel participant strives to pass along cost increases in various forms, as they should. All channel participants should be entitled to make a fair and reasonable return on their investments relative to the risk they are incurring. Without passing through real cost increases on a timely basis, that theory is put to rest very quickly. That said, it is the responsibility of companies in the channel to examine and address the cost components of their respective businesses, including productivity, to obtain their desired level of profitability. Relying solely on price increases to obtain targeted profit threshold is a dangerous strategy. The NIA World is highly competitive. Manufacturers, distributors, fabricators/laminators and contractors can attest to that. No one in the industry is immune to that reality. Immediately following the 2003 fires, there were a number of price increases driven by cost. Many believe these were simply opportunistic. One should never put aside the opportunism angle, but let’s not forget about energy costs. The price of natural gas was increasing at double-digit annual rates back then, for example, and additional costs were incurred to respond to the disruption of available materials. In addition, other costs were still applicable. A more likely scenario was that the 2003 events motivated companies to more quickly and carefully examine costs, productivity and their product line and/or business unit profitability levels, which ultimately supported the need for increases. There is still no statistical data, in units or dollars, related to historical, current or anticipated demand for the NIA World materials that are available in the public domain. As such, it is extremely difficult, if not virtually impossible, to reasonably measure overall industry growth (or lack thereof), or to determine if that growth was driven by units or dollars. Some believe that there has been some price erosion from the peak of price increases after the 2003 fires. Depending upon the product line and the person asked the question, unit growth has been flat to up 5 percent. The net overall NIA World market probably yielded a flat to 5-percent growth over the past year. However, many segment participants indicate that they are busier now than before September 11, 2001. Without statistical data, it is at best an individual guess based on personal experience, with results varying widely on a geographical basis. Overall, however, the NIA World appears to be strong and is expected to have moderate unit growth in 2006, implementing additional price increases, with energy costs being the primary driver. Dollar growth is projected to be 2 to 4 percent higher than unit growth, which reflects moderate (depending on one’s definition of moderate) inflation. Some combination of unit and dollar growth could yield overall growth between 3 and 5 percent in 2006, with slightly lower rates expected in 2007. Projecting growth rates in the NIA World always has been a troublesome task. Depending upon who is asked, what data is used, from what perspective the information is prepared and what geographical area the information encompasses, the projections can vary so widely that it makes one wonder if they all even relate to the insulation market. And, of course, projections always include the standard list of caveats. For consistency, the projections in this article are broad—industry-wide in scope—for the U.S. market. They come with the usual caveats. Insulation is the Rodney Dangerfield of energy conservation initiatives in the commercial and industry market sectors; it gets “no respect.” With today’s high cost of energy, industry participants are baffled over why companies are not knocking down their door with requests for quotes or at least a serious desire to explore how insulation can help reduce their energy costs. Energy conservation is a major focus of the residential sector. Why not the commercial and industrial sectors? When the price of gasoline was $3/gallon and higher, there was continuous discussion about the impact of higher energy costs on all sectors of the economy. Now that gasoline prices have dropped and remain between $2.25 and $2.50/gallon, the previous concern over the perceived crisis seems to be gone. Have companies accepted this pricing level and returned to their old habits? Have the commercial and industrial markets just accepted insulation’s role as “it is what it is?” Or do they lack an understanding of the role that insulation can play in energy conservation, emission reduction, personnel safety, workplace environment improvement, increased productivity, etc.? Facility owners, engineers and architectural firms are investigating and spending mega-dollars on energy conservation initiatives like lighting, pumps and compressors, just to name a few. Why not insulation? It must be that the benefits derived from a properly designed, installed and maintained insulation system are invisible. The results are not measured on fancy gauges and graphs. Insulation is just not “exciting.” Maybe that’s the answer: Make insulation exciting! Not to be misunderstood, insulation is being used for energy conservation on numerous applications. But insulation is not being utilized to its potential. Insulation has been taken for granted for a variety of reasons. The value of insulation gets little respect. The educational and awareness initiatives being undertaken by NIA leaders are extremely important. With education and awareness comes increased opportunities, which equates to industry growth and the respect this technology deserves. Is that one of the primary reasons the residential sector is successful? Have continual and repetitive industry-wide education and awareness initiatives clarified and marketed the value of insulation? Think about it. Will interest rates stabilize or continue to increase? Will further increases slow construction activity? 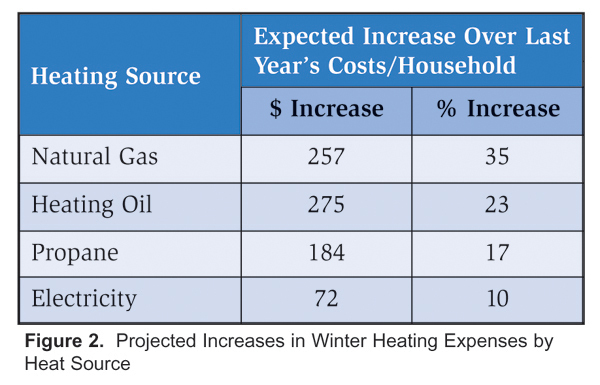 Will energy costs continue to increase? Which energy form will lead the increase: natural gas, gasoline, electricity? The United States continues to consume an enormous amount of energy. This will cause significant growth in the power segment. The questions are when, where and how much? Will pollution control the environment and once again take center stage in some markets? What will be the annual rate of inflation for 2006 and 2007— 2, 3, or 4 percent? Will energy and healthcare costs continue to be the drivers, or will a new area emerge? Will the “green movement” continue to gain momentum? Does this movement provide new opportunities for mechanical insulation? Will there ever be a meaningful federal energy policy that provides obtainable incentives for commercial and industrial energy conservation? Will newly adopted state energy codes, and ones yet to be adopted, be enforced and have an impact? Will industry consolidation once again gain momentum? If so, in which segments: manufacturing, distribution/fabrication or contracting? Will the “big-box” distribution segment find a successful means to cross over and be a significant player in the NIA World? Or is the better question, When will this happen? If that threat should emerge or occur, how will industry participants respond to that challenge, and how will the profile of the industry change? Will asbestos legislation ever be passed? If not, how will the companies with real or perceived liability ever rid themselves of that burden? Many companies in the NIA World are considered “old line,” with ownership and/or management that may be approaching the time for an internal or family succession plan, or even the sale of the company. For others that may not be old line but are considering similar options for a variety of reasons, how will this change the profile of the industry and its participants? What if there was a national plan and standards that provided the support, justification and technology for conservation of energy, emission reduction, increased worker safety, improved productivity and comfort and process productivity, etc., through better engineering and applied mechanical insulation? How would that affect industry growth and the professionalism of the industry? Will there be sufficiently trained field work forces in the future or does the industry need to implement recruitment and training programs? Each of the questions asked above, and others related to the United States and global economies, can be addressed another day. Today, the NIA World is stronger than it is has been in years, and it continues to grow. The industry is not without its challenges, but the opportunities are abundant. Based on the positive recovery from the 2003 fires, the number of new and expanded plants and the improvement initiatives that have been completed in the last year or will be completed in the near future, there appears to be sufficient capacity in all product lines to meet the expected demands. One might even envision a potential excess capacity scenario for certain products lines in late 2006 and into 2007. Some may look back over the past year and conclude that not much has changed, while others will say that there have been many positive changes. This author believes the latter position is a more accurate assessment. The industry responded with enthusiasm and an unwavering commitment to a potentially destiny-changing event in 2003. That response truly demonstrated the resolve of all industry participants. The industry has embarked on new initiatives to stimulate growth through education and awareness programs on the value of insulation. It has begun the task of addressing the problem of old and inadequate specifications, the lack of recognized and accepted application best practices, the confusion that exists over testing procedures, and the need for guidelines or standards that are universally adopted within the industry and by state and federal agencies. It has continued and expanded its outreach educational initiatives with allied organizations, which may include distance learning opportunities in the near future, even at the collegiate level. These activities and others occurred as the industry and the vast majority of its participants enjoyed a prosperous 2005. This is an exciting time for the industry and the NIA. The NIA World is a good place to be.